The beauty of Adriatic and Dalmatian Coasts are unparalleled and you will enjoy all these luscious areas have to offer on our 10 day trip. Experience the history, culture, food, and architecture of old-world Europe, combined with amazingly blue seas, thick forests, and the region's best beaches. 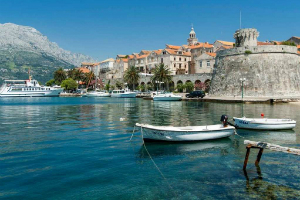 You will delight in picturesque fishing villages, sparkling water, and total relaxation on this cruise of a lifetime. Join us! This escorted tour includes deluxe accommodations, 7 day cruise aboard the MV Karizima, luggage handling 22 meals and 10 nights accommodations.